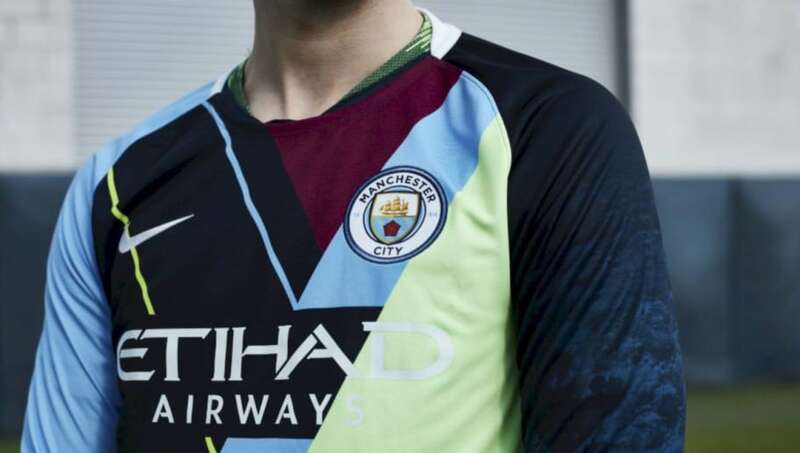 ​Reigning Premier League champions ​Manchester City became the latest club to jump into the ongoing trend of ​launching Nike mashup kits which claims to 'pay homage to some of City’s best-loved kits over the past six years'. After recent mashup kits launched by FC Barcelona and Inter Milan, City have got into the act of doing so themselves. The strictly limited and numbered shirt will be released in mid April with only 6000 shirts set to be made available via current kit supplier Nike. Come on guys, who signed off on this? Own up. No. Shoot the designer for god sake. Which knobhead at Nike designed that 🤦‍♂️ And then which knobhead that pays said knobhead his wages, said yes great let’s get it sorted .. Awful . This season's striking navy blue away shirt also features prominently. Having first joined the City youth ranks as a young school boy in 2009, home grown starlet Phil Foden has worn all nine shirts honoured at one time or another. City began their partnership with Nike in 2013, with this the last City shirt made by the merchandising giant as the six-year relationship comes to an end. As of next season, City shirts will be supplied by Puma.